It has been an exciting start to the Red Dots campaign that kicked off on Monday 19th June. This post is a summarizes the news so far from across the campaign – stay tuned for more information as the campaign progresses. The weather hasn’t been in our favour so far at La Silla, home of the European Southern Observatory’s high accuracy radial velocity planet searcher (HARPS). From 40 scheduled observations, we managed to obtain only ~23 of them. The first spectra obtained by HARPS have been available since July 14th and are being update roughly once a week at https://reddots.space/data/. The signal of Proxima b, the exoplanet discovered last year, could be hinted in the first 10 data points already, ticking off the first target of the campaign. But are there hints of more planets around Proxima Centauri? – join the conversation on our Forum or through the hashtag #reddots on social media. Data from the simultaneous photometric campaign is also coming in. Our firsts two Photometric Logs provide an updates from the ASH2, SNO, MONTSEC and LCO observatories. The weather has been a bit more favourable with about an 80% of success in the scheduled observations. Our latest article, by Eloy Rodríguez, explains how we are using photometry to complement radial velocity data from HARPS. So far, we have been lucky enough to be joined by experts from around the world providing their commentary on the Red Dots campaign. 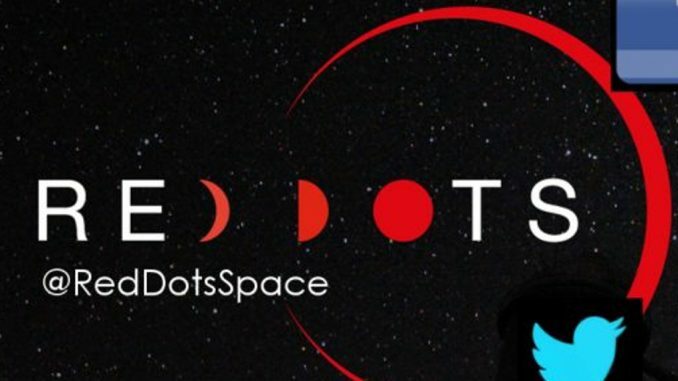 Professor Avi Loeb of Harvard University wrote about using Red Dots data to motivate projects such as the Breakthrough Starshot Initiative and search for extra-terrestrial life beyond the solar system. Mikko Tuomi from the University of Hertfordshire explained the results of last year’s Pale Red Dot campaign on Proxima, and what we can learn with more data on both Proxima and the very active M-dwarf Ross 154. Also recently, Paul Gilster, author of Centauri Dreams, explained the historical significance of the stars that the Red Dots campaign is targeting, especially Barnard’s star. We have teamed up with our friends at AAVSO (the American Association of Variable Star Observers) and in June we posted a request for assistance. The focus from AAVSO will be V-band photometry for the active star Ross 154; we are targeting round-the-clock coverage to disentangle stellar activity from possible exoplanet detections. AAVSO members can submit their observation data to the AAVSO database or to the Red Dots campaign directly. Over 5000 observation (5431 to be precise) have been loaded into the AAVSO database as for July 14th already, and you can read more about the coverage in our latest Pro-Am follow up blog. On the Forum we have had a number of comments from the wider astronomy community – thank you for getting involved! Astronomers have begun regular observations of Barnard’s star (as requested through AAVSO) and we look forward to using your data to support the search for nearby exoplanets. Other contributors enquired about using ImageJ to reduce the observation data collected; read our handy guide for advice on using this software. There have already been interesting discussions about the habitability of planets orbiting red dwarfs. There is a lot of debate around the habitability of these planets but we won’t know until we discover them and characterise their atmospheres. We only have limited resources and technology available to us and currently looking at nearby red dwarfs is a good opportunity to find exoplanets which we can hopefully start to characterise in the near future. Given that there are more red dwarfs in our solar neighbourhood, and their habitable zones are more favourable for detecting exoplanets in, they are a good target for our Red Dots campaign. The Arecibo Observatory in Puerto Rico has joined forces with Red Dots and simultaneously observed both the optical and radio emission of Barnard’s Star to search for possible stellar activity and more. We’ll be providing more updates on this collaboration going forward. We’ll be releasing more data as it becomes available throughout the campaign. Keep an eye on our Facebook and Twitter pages for more information as the campaign progresses. That’s all for now; keep up the great work!